Every little while, a new juice is placed in the spotlight and touted as a miracle solution to all our dieting needs. Since the start of this year, celery juice has topped the latest version of the trend. This may make you wonder whether we have finally stumbled upon an option that will replace even the best diet pill, or if this is only the latest in a long series of fads. To start, celery juice is exactly what it sounds like. It’s the result of running celery through a juicer and extracting the liquid while leaving everything else behind. That said, food manufacturers have also hopped onboard this trend – as they usually do. This has brought yet another option into this trend. The reason is that those who follow the trend see a substantial difference between celery juice in a bottle or a can, and celery run through a juicing machine and consumed right away. That being the case, it’s natural to want to know if either version of this drink could do the job of a diet pill, or better for that matter. The appeal to this option is that it involves a readily available ingredient that is quite inexpensive and that involves very little effort in order to lose weight. However, as of yet, there isn’t any reliable scientific evidence to suggest that there are any advantages to drinking celery juice with regards to making weight loss any faster or easier. 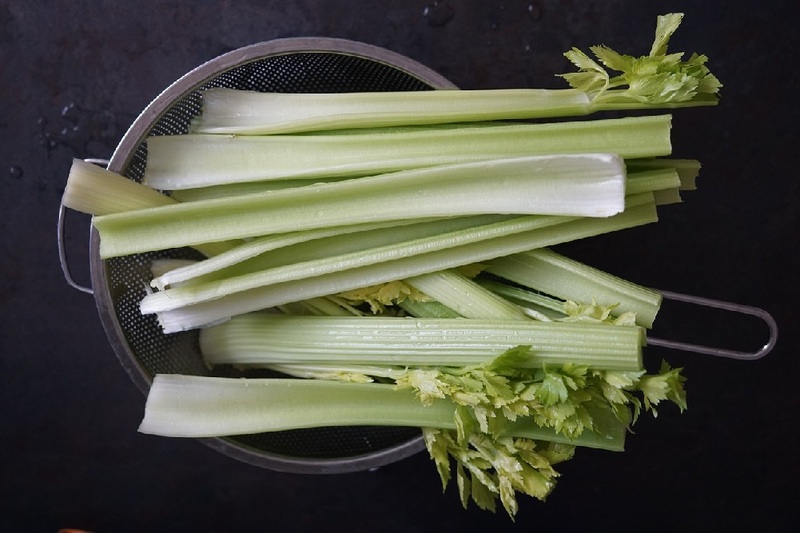 Celery juice products often include added sugars, which can often work in opposition to a person’s efforts to lose weight. That said, by juicing celery through a machine, there isn’t any research that would suggest that the resulting drink will be effective, either. The one exception to this rule is in the case of blended celery as opposed to juiced. Celery that has been finely blended into some extra water contains all the fiber that is pressed out in the traditional juicing process. Blended celery juice is hydrating and gives you the opportunity to enjoy all the benefits of actually eating the celery stalk, only thoroughly broken down in order to make it easier for the body to absorb all the nutrients it contains. While this wouldn’t be the equivalent to an effective diet pill and cannot replace a healthy diet and exercise strategy, it does make blended celery juice one of many weight loss friendly options. This drink is low in calories, high in fiber and hydrating. When enjoyed in the evening, it may even help to promote better sleep, which can also be beneficial to weight loss efforts.